With the increase in the number of mobile users, Google Adsense has been pushing a lot of updates for Adsense Publishers to optimize ads better on Mobile Platform. Google has already rolled out Responsive Ads which automatically fits to all screen resolution and it was a great move by Google Adsense. Now they pushed it even further with the new Page Level Ads. What are Page Level Ads on Google Adsense? 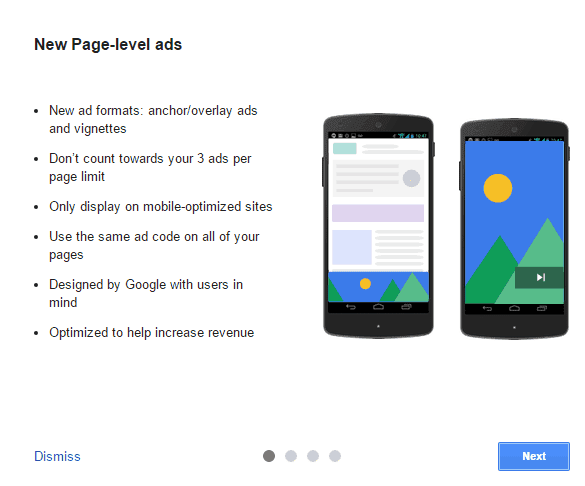 Page Level Ads is a new feature which comprises of anchor/overlay ads and vignettes. These ads appear only on Mobile Optimized sites only and are likely to appear only on mobile version of your website/blog. We haven’t noticed any overlay ads so far but we guess with time Google will start pushing more overlay ads as well. They seem to offer two types of ads for now i.e overlay and a small banner ad at the bottom of the blog/website as you can see from the below screenshot. There is no specific way to do so. You will automatically get notified on Adsense Dashboard about the new feature. As far as my knowledge is concerned this feature is available for all and those who haven’t got the update wait for sometime you should see the update shortly. Once you have gone through the steps you just have to enable the features that you would like to have on your blog/website and then just place the code before </head> section of your site. That’s all you should see the ads live on the mobile version right away. Do let us know if you have any difficulty in implementing Google Page Level Ads on your site in your comments. 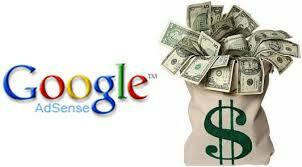 Google AdSense is the best and probably the most effective way to monetize your blog or website. What most people fail to realize is that Adsense is still a very viable option for earning a living online. A few years back, it was not that tough to get approved for Google Adsense program. A few 15-20 published articles with 250-300 words each was enough to use AdSense Program on website. However, since 2015 Google has conducted a new policy. The content should be unique as well as rich in both quality and content along with plagiarism free. You probably have realized now that low-quality duplicate would wouldn’t work for AdSense Program. In this article, we will learn the basic guide to get Google AdSense Approval in simple ways. Your website or blog should be at least 6 months old. (newly blogs only from Europe, USA, Canada are accepted). Your site should not contain any adult content. Your site should not contain any copyrighted pictures, videos or links to sites that violate google policies and guidelines. Never copy and paste content from other websites. Always post new original content.write content rich pages. You should post at least 20 to 30 content rich pages before applying. Your site should have a good navigation system that can link all the pages of the blog from the homepage. Include an about author page with your original photo. Copyright your content.You can signup in myfreecopyright to copyright your contents for free. Get some daily visitors through google search.I think the page views are not given much consideration.The content is all. App ka age kam se kam 18 years old hona chahiye. Kyu ki agar aap ki age 18 years ke kam hai. To app adsense ke liye apply nahi kar shakte hai. Ish case me aap apne parents se puch kar. Un ke naam se adsense account open kar shakte hai. Lastly, you must have a Google account, adsense is a product of Google likewise Youtube, Blogger host, Gmail, Drive, Docs and others. In order for you to be eligible for the application you also have to be up to the age of 18; this factor is important because blogging is a job and likewise other jobs taxes and legal tenders are involved. Google ke guideline ke hisab se Asian countries me adsense ke liye kuch restriction kiya huwa hai. Un ke hisab se aap ka site kam se kam 6 months old hona chahiye. Tab hi ja kar aap adsense ke liye apply kar shakte hai. But agar aap ke blog ke sare ke sare content high quality ke hai. Aur aap ke content me kuch naya aur accha jankari share kiya gaya hai. To aap apne blog pe 1 months me hi adsense approved karwa shakte hai. According to Google, approval guidelines goes along with website age. But I have found this to be only important when you are applying adsense for regions like Africa and Asia. The reason why most bloggers complain of not getting Nigerian adsense or Pakistani adsense is because of their website’s age but if you are applying for UK/USA adsense you shouldn’t bother much about this. I got UK adsense approval this month with a 5 days old website. Prosper Noah gave a tutorial last month on applying for UK/USA adsense. Adsense account approved karwane ke liye ek Top Level Domain ka bahut bara haath hota hai. Kyu ki google ko lagta hai ki aap apne blog ke prati serious hai. Jis ke karan adsense account jaldi se approved ho jata hai. Your website is the core factor in becoming an adsense publisher; Before taking up the bold step to apply for adsense you need to have a website. There are many places you can make your own website using different platforms. App jab bhi koe article likhe to us me humesa High-quality content ka use kare. High-quality content ka matlab ye huwa ki aap jo kuch bhi likh rahe hai. Wo dusro se aalag ho aur kahi se bhi copy na kiya gaya ho. Agar aap ko lagta hai ki aap kisi dusre ka content copy kar ke adsense account approve karwa lege. To ye soch apne dimag se nikal dijiye. Kyu ki google aap ke index huwe her ek page ko check karta hai. Waise bhi aap kisi dusre ke mehant ko apna kaise kah shakte hai. The most important thing for Google AdSense Program is quality contents, a decent number of articles (preferably 40+ articles), and unique contents. Traffic from a search engine is less important for the program. Moreover, if your website contents are in English, write in plain English that is humanly understood. Since Google is very strict these days, they check each and every article. Try to include 3-4 articles of more than 2000 words each. The more quality contents, the better and faster chances of approval. Yesa kahi bhi nahi likha huwa hai ki. Adsense me apply karne ke liye. Aap ke blog me itne post ki jarurat hai. But ha app ke blog me kam se kam sufficient post to hona hi chahiye. Maan lijiye ki agar aap ne 500 – 700 words ka ek post likha hai. To aap ke blog me kam se kam 20 se 25 post to jarur hone chahiye. App jitne jayada words ke content likhege approval ke chances bhi utna hi jayda badh jate hai. Ish liye post likhte samay content ke upper jayada dhyan de. This section sums up the adsense approval requirement. You must have quality content on your website. This is where most so-called “adsense experts” will urge you to publish many articles. They will tell you that you need lots of contents in order to get approval. Funny enough, a friend of mine followed this false positives, wrote up to 300 articles, applied for adsense and was disapproved. Google said he has insufficient contents. But how is that possible? he followed the “expert’s” concept! he has lots of articles, infact 327 articles and Google still told him he has insufficient contents. Sad indeed! Google doesn’t crawl your website by the number of articles you have. No! they don’t. Google crawls your webpages individually sorting it out based on the number of words in each article. This is what those “experts” won’t tell you since they have the strong belief that Google will review the number of contents your website has rather than the number of words in each content. App kabhi bhi apna blog ya website adult content, hacking, cracking, gambling, casino or drug content ke upper na banaye. Kyu ki Google in sab content ko pasand nahi karta hai. Agar aap ke blog me in sab se related kuch bhi content hai. To aap un sab content ko remove kar ke hi adsense ke liye apply kare. App kabhi bhi kisi dusre ka content copy kar ke. Apne blog me paste ka kare. Kyu ki wo aap ka content nahi hai. Yesa karne se aap ka kabhi bhi adsense account approve nahi hoga. Websites that are liable of copying contents from other webpages without proper reference will not be approved for their program. Because of this, websites having duplicate contents from another website usually don’t get approval. Ish liye in sab pages ko apne blog me jarur dale. In pages ko add karne ka dusra fayda ye bhi hai ki. App ke Visitors ko aap ke site ke bare me jankari mil jati hai. Aur visitors ko bhi lagta hai ki aap ka blog ek trustable aur professional blog hai. App apne blog ka design user-friendly rakhe. Matlab aap ka blog mobile friendly hona chahiye. Aur us me navigation to jarur hone chahiye. Taki aap ke visitor aasani se aap ke blog ko padh shake. Aur un he jis page pe jana hai waha ja shake. Bekar ke widgets to apne blog me bhul kar bhi na lagaye. Kyu ki us se aap ke blog ka loading speed badh jata hai. User-friendly themes have Google’s love with them that is why you ought to use a theme that is clean and responsive. There are lots of themes for this and I personally use Sahifa theme for WordPress and News52 Template for Blogger. Adsense bahut sare advertising networks ko support nahi karta hai. Ish liye adsense me apply karne se pahle. Agar app koe dusra ads network use kar rahe hai, to use remove kar de. Taki approval ke chances aur jayada badh jaye. Agar aap dusre network ka ads nahi hatate hai. To ho shakta hai ki aap ka adsense application bhi reject ho jaye. Google doesn’t like competition and when it comes to business no one likes it as well. To avoid your chances of getting approved from deducing remove all forms of third-party advertising networks from your website. Whether Medianet, Propeller Ads, Adrolls, Adnow, PopAds, Chitika, and many others; Just remove them and make your website free from adverts. If you want to get an edge above on how to get adsense approval fast then please discard these third party Ads from your website before applying. Google adsense bus kuch hi language support karta hai. Jis me se Hindi bhi ek hai. Ish liye aap jab bhi koe blog banaye. To ye jarur jaan le ki adsense kaun si language support karta hai. Usi language ke upper hi apna blog banaye. Google approve websites that are in certain languages and they also don’t approve others. This means to be part of adsense program your website must be in a supported language. Google ko real visitors pasand hai. Matlab wo visitors jo search results ya social networking sites se aate hai. Agar aap apne blog ke kiye traffic purchase karte hai. To adsense account approval ki baat to door ki hai. Agar aap ka adsense account approved bhi hai. To use disable hone me jayada samay nahi lagega. Per day agar aap ke site pe 50 – 100 visitors bhi aate hai. To aap adsense account ke liye apply kar shakte hai. Aap ko visitors ki chinta karne ki koe jarurat nahi hai. Kyu ki agar aap High-Quality Contents wale post apne site pe publish karege. To visitors apne aap aap ke site pe aane lagege. Waise bhi adsense aap ke site ka content dekhta hai visitors nahi. Google won’t accept any website in any form of traffic exchange program such as pay-to-click or Email Spam. Hence, traffic source is a major factor to note. These four policies listed above are the most important for you to get adsense approval fast, you have less to worry about the others. Adsense me apply karne se pahle Adsense ka Terms and Conditions ek bar jarur padh le. Ish ki madad se aap bahut hi aasani se apna adsense account approved karwa shate ho. But phir bhi aap ko approval ko le kar koe bhi problem aati hai. To aap hume contact kar shakte hai. Aur agar aap ka ish post se related koe sawaal hai. To app hume comment kar ke puch shakte hai. Google set alot of guidelines concerning the websites of publishers in the network and if you want to know how to get adsense approval fast you must be compliant of all. To get Google AdSense Approval, it is necessary to add sitemap and robots.txt files for your website to get a trust from Google. If you are using WordPress, there are chunks of free sitemap plugins that you can install on your website. It’s a few clicks install. Creating the robots.txt is easy as well. It is important to know that sitemap and robots.txt are not the direct factors for Google AdSense Approval. Instead, they are trust factors. Adding sitemaps on your website help search engine bots to index your site faster while creating robots.txt file will eradicate unwanted junks in Google. Now, this is a crucial factor for Google AdSense Approval in less time. Google checks the authenticity of the site before you signup for the AdSense Program. Make sure you have following pages appearing on your website. In the “About” page, openly mention who you are, what’s your website’s motive, and why this site is made. In the “Contact” Page, do not forget to place your address and email so that visitors/customers can easily reach out to you. Or may be contact form as well. So these are the most important tips to get your Google AdSense Approval in no time. Follow these tips precisely and see your website gets approved by yourself. The worst thing you could do before applying to AdSense is to have low quality articles, bad blog layout & design, and missing important pages. Many people fail to be eligible for this program for the first time. Google always gives an accurate reason for your AdSense Program disapproval. Study them thoroughly and improve/update your blog. Eventually, you can monetize your blog with AdSense Program after the approval. The thing is you mustn’t lose hope. There are always other Highly Paying AdSense Alternatives available if you ever think AdSense Program is not for you. Now here’s what I want YOU to do. Click on social sharing buttons below and share this post with your friends, I’m sure they’ll love it! Comment below and let me know your story about getting AdSense approved. If you have any questions feel free to ask. Answer to an often asked question. My advice to AdSense users is to focus on continuous good quality content and have some patience. Users of Google AdSense often ask a question: Is it okay to show AdSense ads in a fixed position div element?. Such a div is created by position:fixed in style property. A lot of AdSense publishers feel the urge of placing Google ads in such floating div. They believe that it will get more clicks on Google ads and therefore they will earn more from their website / blog. Yes, it is true that such an ad may push your CTR up —but such floating ads are not allowed by Google. That makes such fixed position ads a dirty black hat trick. Compensate users for viewing ads or performing searches, or promise compensation to a third party for such behavior. Encourage users to click the Google ads using phrases such as “click the ads”, “support us”, “visit these links” or other similar language. Direct user attention to the ads using arrows or other graphical gimmicks. Place misleading images alongside individual ads. Place ads in a floating box script. Format ads so that they become indistinguishable from other content on that page. Format site content so that it is difficult to distinguish it from ads. Place misleading labels above Google ad units. For instance, ads may be labelled “Sponsored Links” or “Advertisements”, but not “Favourite Sites” or “Today’s Top Offers”. Many Adsense users who are trying to find their feet in this business of blogging become frustrated by seeing not much income in the initial days. This leads them to explore various “tricks” to increase clicks on Google ads. But trust me all this is going to be counter-productive. By playing tricks you may get good click rate –but if Google will soon discover your website’s wrong intentions –and your well performing website may get penalized. You don’t want to do that –do you? These tips will help you using Google AdSense in much smarter way. Google Adsense pays but not for free or meager work. You need to work hard in order to ensure a continuous flow of good quality content for your readers. Then it requires patience. If you can do these two things –there is no reason why you would need to resort to tricks like placing Google ads in fixed position floating div. All the best in your blogging efforts! On TechWelkin, I publish a lot of very helpful and experience-based information related to blogging. Do subscribe to my newsletter and learn the art of making money online! Are you wondering why your AdSense CPC is low as $0.01? Let’s understand the reasons behind it and also the ways to increase your average CPC. If you use Google AdSense on your website, you must have battled the issue of low revenue from clicks your visitors make on the ads. Sometimes just one click can make you significant money and sometimes several clicks may fail to yield even half a dollar! And you keep on wondering why AdSense CPC is so low. CPC is the Cost Per Click, that is the revenue you earn from one click made by the visitor. There could be several other reasons behind low CPC including Google penalizing your blog or website by slapping a manual or algorithmic penalty. Let’s first look at some data regarding low CPC. If you are getting low CPC, you might identify with this data! We have collected this data from a randomly chosen seven client websites and we are presenting an average here. Most of the AdSense users usually begin January with a dropping CPC rate. All seven of the websites were affected with low CPC. Experts generally attribute low CPC in January to the low remaining budget after spending binge during holiday period of December. In February, only one the seven sample websites picked up and the pickup was really sharp. So, we decided to exclude this website from the following results to avoid skewed data. As you can see, average CPC remained same in February also. Many people believe that advertisers tend to spend less in the first quarter of the year because they have already utilized most of their budget in the last quarter of the previous year. The CPC of the excluded website dropped. So, we are giving here the average of all seven sample website. March is the last month of the financial year -therefore budget available for spending remains at its lowest. As we can see, CPC dropped significantly in the month of March. Low CPC rate can kill your blog! Low AdSense CPC can kill your blog! A hope for rise in CPC begins when April starts. It is the first month of the new financial year. So, advertisers have their fresh budget allocated for advertisements. But hopes were smashed and the overall CPC dropped even further in April. Now that we have some idea what we are dealing with, let us try to understand reasons behind low CPC. 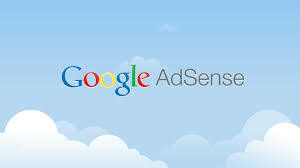 You should analyze your AdSense control panel and you’ll find the CPC rate for various the ad units you have got. Lets see what are points that determine CPC. The first and foremost factor that determines CPC rate is keywords. Some keywords may bring you dollars and some will fetch just a few cents. For those who are not initiated, let me explain what are the keywords in this context. Well, keywords are the words and phrases which appear on your webpage which Google picks up and display ads based upon these keywords. For example, if you have written a review about the new camera you’ve bought –probably the most important keyword on that page will be “camera” and Google will try to show ads from camera manufacturers or other related businesses. The second factor that affects CPC is how much money advertisers are paying for a keyword. Competition among advertisers grow as the number of advertisers willing to buy a keyword go up. Consequently the bid amount also tend to go up and you get high CPC. Placement of ads is another important factor. If you’ve 5 ad spaces on your page –there is high probability that the ad with highest CPC will be served in the first space. The CPC decreases towards the bottom of the page. So, if clicks are coming from the 4th of five ad spaces –it is likely that you’ll get a low CPC. Ad types can also affect CPC. Some ad types perform better than others. The foundation of this argument is that Google wants to make money. So, it will invariably push ads with higher bids. Lets say the highest bidder has only an image based advertisement. Now, if you are forcing Google to show ONLY text ads in your space you’ll lose the ad with highest bid and will have to make do with the ads having lower bids. So, it is better to put fewer restrictions on your ad spaces. One more little known factor is the season! Yes, advertisers tend to place low bids during the holidays and weekends. So, if your CPC is low during these times –don’t worry, it’s just seasonal! Highest bids usually come during the work hours of the day and work days during the week. Just like time, advertisers can also target certain geographical regions. This is something you don’t have much control on. If the high bidders have chosen to show their ads only in, say, Europe and if most of your visitors are from Asia –it is unlikely that you’ll get good CPC. Advertisers are also allowed to select ad spaces. For example, an advertiser might say something like “I want to show my ad ‘towards the top of the page’ ” –and if your page has ad placement only towards the bottom of the page –you might lose that advertiser. Learn how to use section targeting in Google AdSense and reap the benefits from this simple must-to-be-implemented tip. Your CPC and CPM rates will get advantage from section targeting. Google has realized that on websites (especially on blogs) there occurs some information which should not be used for deciding which AdSense contextual ads be displayed on that page. Such information mostly lies in the sidebars and footers. Sometimes, Google’s ad serving algorithm gets confused and take this irrelevant information in account while deciding which ad to show on your blog. Section Targeting is a mechanism to ensure that the algorithm gets the right content to decide about ad serving. The mechanism is very simple. You just need to put Section Targeting “section start” and “section end” markers in your blog’s code to tell the algorithm about the content that should be considered as context for ad serving. Is it worth to do section targeting? Yes, it appears to be a good idea to implement section targeting while using Google AdSense contextual ads. It helps ad serving algorithm to select the best ads to be shown on your webpage. This would help increase your AdSense CPC and CPM rates. I hope this AdSense tip was useful for you. 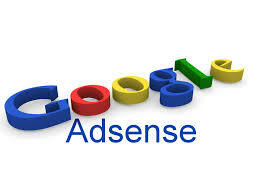 Properly using AdSense ensures that you earn better income from your online business. Do let me know if you have any questions regarding this. Happy blogging! Backup ads are very useful especially if your pages do not attract much of targeted ads from Google AdSense. Blank space can be cleverly utilized to your advantage through backup ads. When you create a new ad unit in Google AdSense control panel –Google gives you an option of specifying what it should do if there are no targeted ads available. The default option is “Show blank space”… but, instead of selecting this option, it is much better idea to use backup ads instead of just wasting the precious ad space. Why to leave it blank if you can show something else there? Let’s know how to setup backup ads. Do not waste precious ad space. Use AdSense Backup Ads. Remember, you should create different images for different types of ads. Size of the ad unit and the size of your image must be same. For example, if you are creating a large rectangle (336×280 pixel) ad then you should give a URL that is pointing towards a 336×280 pixel image as your backup ad. Moreover, you can also give URL of an HTML page whose content shall be shown if there is no relevant ad available. If you plan to give a link on your HTML page; make sure you use target=”_top” because Google serves its ads in an iframe tag. When your HTML page will be displayed inside iframe the link should load in the top window of browser. Click-through rate of backup ads may vary from your average click-through rate. Interesting and eye-catching backup ads can even increase click-through rate (CTR). Backup ads are very useful especially if your pages do not attract much of targeted ads from Google. Such pages mostly show blank ad space. This blank space can be cleverly utilized to your advantage through backup ads. New AdSense publishers often ask questions about which ad sizes and types perform better. Learn about the best ad size and types as per our experience. Struggling bloggers and new AdSense publishers often think about which is the best display ad size and type. This question invariably comes in mind when you think about how to increase your AdSense revenue. Google AdSense is a publishers’ advertisement network run by Google Inc. After signing up for this program, web publishers can show advertisements on their websites and blogs to earn money. These ads are delivered by Google. The company charges money from ad providers and gives a share of this revenue to the web publishers who show ads on their websites. Because different websites have different layouts and goals, Google AdSense provides display ads in a number of types and sizes. Bloggers are free to select a size and type as he feels fit for his website. It is almost impossible to crown a particular ad type and ad size as the best performer. It’s because different ads perform differently on different websites but still, based on my experience with Google AdSense, here are my views. Better performing AdSense ad sizes are those which get higher Click-through Rate (CTR). You may want to learn about the ways to increase your CTR. In my opinion, the second best performing ad size is Medium Rectangle (300 x 250) or Large Rectangle (336 x 280). These squarish ads perform better when they are inserted in content area with a float towards left. In this fashion, these ads grab a lot of eyeballs as visitors read most languages from left to right. As Google also recommends, it is advisable to use “Text and Display ads” type. This will ensure that highest paying ads are displayed on your website. Some people tend to think that “Image only” ads are better because they draw visitor’s attention more easily. It may sound logical, but the truth is that you don’t earn just by drawing attention of visitor towards an ad! A click is what AdSense publishers desire. Visitors come on your website looking for information that your website is promising to offer. They often make clicks on links given in text based ads when they see a link relevant to the subject they are researching. That is why it is better to display both text and image ads. This was my opinion about best AdSense ad size and best ad type. Please ask me if you have any question on this subject. On TechWelkin, I write a lot of articles giving you tips on successful blogging. Do subscriber and keep on receiving latest tips from me. Thank you for using TechWelkin. Learn why you AdSense revenue is declining. Do not worry, focus and find the cause of decrease in AdSense income from your blog. Such decline is reversible. 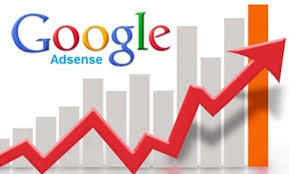 Are you worried about your suddenly decreasing AdSense income? Has it been decreasing since last couple of weeks? Well, I would suggest, don’t worry… not now! AdSense income is not stable and predictable like a salary. A large number of factors impact and decide how much you’ll earn in a specific period. So, decreasing AdSense revenue is not uncommon. Sometimes you earn $100 a day and the other day it could be just $20. Instead of worrying about AdSense income, you should keep an eye on your traffic. If you’re losing traffic, that’s not a good sign. If AdSense revenue is going down because of a reason other than declining traffic, there is not much to worry because most of the AdSense related things (like low CPC) is not in your hand. But if traffic is declining and as a result if number of ad impressions is going down, you should immediately look for the cause. Many readers have asked me about unusually low Google AdSense revenues in last couple of months. They all say that while the traffic and number of clicks on their websites remained more or less same throughout the month but the Cost Per Click (CPC) staged a nosedive. I told all of them just one thing… Don’t worry! At TechWelkin also, we faced a similar situation and many other tech bloggers reported decrease in CPC. We have published an article stating many possible reasons for low CPC. One of these reasons is season. In middle of the year, advertisers tend to bid low for Google ads as they face budget crunch dues to financial year ending. Also, CPC goes low because people go on vacations during this period and advertisers lower their bids thinking they will not get much response. These are however merely hypotheses. We don’t really know what goes on behind the scene. Google hardly disclose any information that could reveal reasons behind such CPC fluctuations. You can, however, balance the effect of low CPC to some extent by trying to increase your click-through rate (CTR). We have an article on some very good tips on how to increase AdSense CTR. AdSense users can only hope that CPC would improve this month and onwards. Keep the faith. We would advise new bloggers not to lose heart and keep producing good content. Patient is the key for AdSense success. Please feel free to ask me if you have any questions about this issue of decreasing AdSense revenue. I would like to be of help. I write articles to help bloggers, so keep in touch. Subscribe and keep on receiving tips for success in the blogging business. AdSense: How Many Ad Units Per Page are Allowed? Learn the maximum number of AdSense ad units allowed on one page. You must not overload your webpage with ad units, link units etc. Good content is the key. There are many over-enthusiastic AdSense users who try to place way too many ads on one page in hope to earn more money. But does it work? Let’s find out! 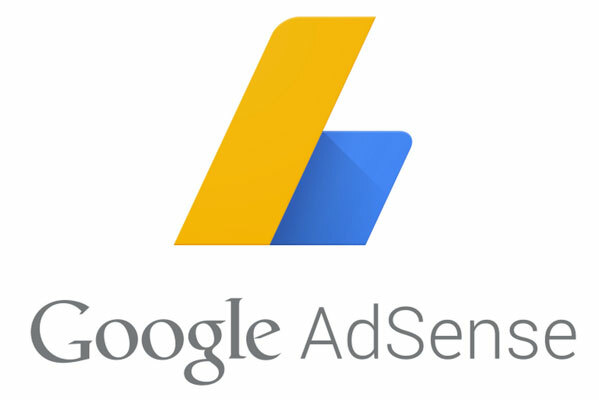 Google AdSense is world’s largest contextual ad network. Millions of people are using it on their websites and everyday countless new people join the network. These new users make a website and join AdSense with a hope that they would start making decent money “soon”… but it takes a lot of hard work, patience and time before that can happen. In a large number of cases, frustration sets in and AdSense users begin to find ways to increase their income through AdSense. More often than not, AdSense users begin to add more ad units in their website. They feel that more the ad units higher the chances of getting clicks. But the maximum number of ad units allowed per page is three. And you can show only one 300×600 display ad unit. Yes, in addition, you can also show up to three link units also. Many new users of AdSense are unaware of the fact that they can’t show more than three ad units on one page. If you put, let’s say, five units, the first three units will display ads and the remaining two will not show any advertisements. But I’ve seen websites with more than 3 ad units! 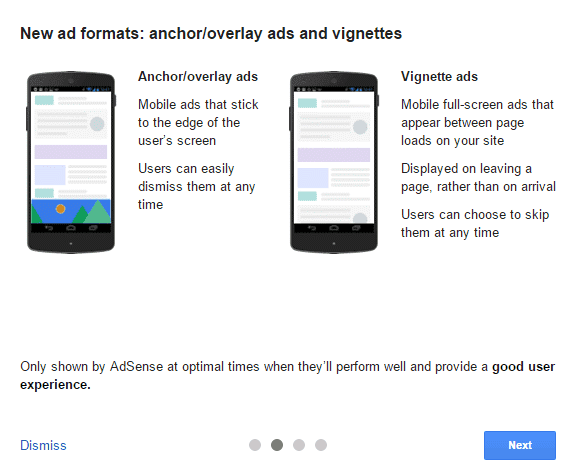 You might have seen some websites show more than three AdSense display ads. Well, the reason behind this is that they are the Premium AdSense Publishers. Google gives this status to those websites which, over a period of years, have proved that they are serious about regularly producing good quality content. Premium Publishers get a number of privileges including ability to display more than three ads per page and perhaps altering ad appearance. Google does this to force publishers to focus on content quality. Loading your pages with tens of ad units is not the right way to begin your journey as a blogger. Good content is the only and only way towards success in blogging. Don’t feel disheartened. As I said, it takes a lot of patience to make your website worthy of decent income via clicks on ads. Have patience, produce good and useful content… and soon you’ll do better, for sure. Please feel free to ask me if you’ve any question on this subject. Thank you. If you don’t receive AdSense PIN by post, your payment will remain on hold. Learn how to get your AdSense PIN or upload ID for verification and begin to show commercial AdSense ads on your website. Harry wants to use Google AdSense to make money and he happily start the process. He starts a blog, registers for an AdSense account, gets approval from Google, creates ads, integrates ad code in his blog posts and begins to show online ads. The next day Harry logs into his AdSense account to see how much he has earned. First thing that might disheartens him is the figure of earning from previous day ($0.00 or may be $0.01)… On top of this, he finds a message from Google that his AdSense payment is on hold. Tension! But when Harry looks for details, he feels relieved because Google says that a PIN Number has been mailed (not emailed) to him. When received, this PIN number should be entered into the AdSense account for removing the hold on payments and start showing commercial ads. Google takes to precaution of sending PIN number by post just to verify your postal address (this is where you receive your pay cheques). However, as it happens with many people; postal mail containing the PIN number never arrives! Non-receipt pf AdSense PIN is a common problem. 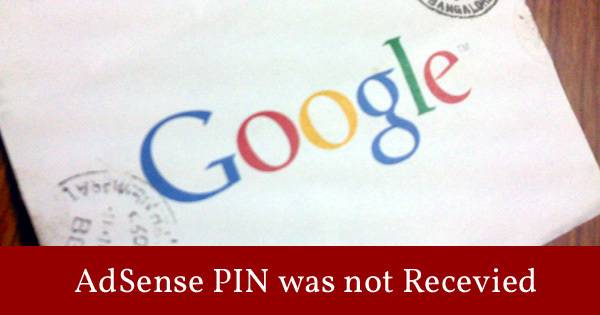 Harry logs into his AdSense account and requests for the PIN to be resent; and Google sends the PIN again. Sometimes the elusive PIN still does not come. You can make up to three requests for PIN number. And sometimes, after all these requests, the PIN number… still does not come! What to do if AdSense PIN does not come? After you have tried all three attempts of receiving PIN from Google AdSense, and failed, don’t lose heart. The next step is to send Google AdSense a scanned copy of your ID. Your ID must show your postal address and it must be same as the one that you have given to AdSense. The best ID to send is your Passport. Scan the first page and the last page (so that you can show your details, passport’s details and address details) and upload the file in the above given form. Other valid IDs could be your bank statement, government ID, voter ID, telephone/electricity bill etc. The ID must show your name as well as the address. If you do not have access to a scanner, you can take a good photo of your ID using your digital camera or mobile phone. Make sure that the relevant details are clearly visible in such camera photos. Thanks for your email. After verifying your ID proof, I am happy to let you know that I have manually overridden your PIN requirement and you won’t be required to enter another PIN for this account in the future. So, dear reader, please don’t be distressed if you have not received your AdSense PIN. A lot of people don’t get it in first attempt. If you don’t get the PIN just follow the above given procedure and you’ll be fine. What Type of Blogs Attract High CPC Ads? Answer to an frequently asked question. New AdSense users and new bloggers often want to know how to earn more money advertisements. But there is no shortcut! A TechWelkin reader and a friend of mine has asked me an interesting question. He wants to know which types of blogs attract Google ads with higher CPC. I know that this question swirls in the minds of many new blog writers and new users of Google AdSense who want to venture into online money making endeavors. So, I decided to write about the matter as it would be helpful to many people. At the onset, you must understand that AdSense requires a lot of patience and hard work before it can start earning money for you. Most people don’t have that kind of patience and consistency and that is why they either totally fail in making any good use of AdSense or they satisfy themselves with meager earning. The next important thing is to have something called topic authority. Google considers a website (a blog is also a website) to have considerable authority on a topic if that website keeps publishing quality material on that topic for a long time. The longer and higher quality material you publish –the better topic authority you gain. And better topic authority means better ads on your blog. Now, after making these things clear, let me come to the point in question. Although, most authors will tend to be politically correct on this issue –but the truth is that some niches indeed give you better paying ads whereas the other niches give you very low CPC ads. It’s quite obvious. Higher paying ads will obviously come from companies that have coffers ringing with money and those who sell expensive products. For example, if you write about gadgets –your blog is likely to attract ads from mobile phone makers, computer makers, camera manufacturers etc. On the other hand if you write stories –the ads that will appear on your blog will be of general nature and, therefore, will include low CPC ads as well. But it’s not only about the niche impact. Subject notwithstanding, if you keep writing good quality material –slowly the quality of ads delivered on your blog also improves. In the beginning you get low CPC ads but as the time passes and Google’s algorithm begins to give more respect to your blog –the ad serving algorithm will serve you with higher paying ads. Moreover, CPC rate also depends on where your audience are located. If your target audience mostly are in USA or Europe, you are likely to get higher CPC… Companies in India and other developing countries don’t yet usually pay a good CPC at present. So folks, if you want to earn via AdSense –remember these keywords: Patience, Hard work, Consistency and Quality content. Please feel free to ask me if you have any questions. Thank you. Uncover hidden information by linking up two great SEO tools from Google. It’s easy process and full of benefits. Google knows everything! Well, if not everything, Google knows a real lot about Internet and how Internet users are using it. This is one established fact about Google. Google shares its knowledge with webmasters through a number of tools. Google Analytics is one of the best tools around to keep track of traffic on your website. Google Analytics provides comprehensive data and easy-to-use reports for your consumption. This information can greatly help you in customizing your website and content in order to serve your visitors better. Google keeps on adding new features on Analytics thereby making it more and more useful for webmasters. The latest feature addition is the possibility of linking with Google AdSense. You will get to know which of your content is generating more revenue. This will help you in writing more targeted content. You will know which website referrals are generating revenue. Information extracted from combined AdSense and Analytics data is very useful for optimizing your website in a way so as to earn you more revenue. It is all up to you how deeply you analyze and use data provide by this linking. Please let me know if you have any questions on this subject. Thank you. Regular AdSense publishers are not allowed to use CSS to alter appearance of ads. Only Premium Publishers are given this privilege. Many AdSense publishers become desperate when their click-through rate (CTR) and cost per click (CPC) consistently remain low and as a result online income also remain low. They try everything to boost AdSense earnings. This include, changing ad types, changing ad locations and ad styles etc. 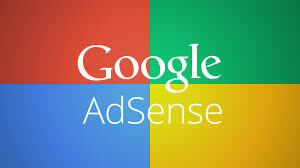 AdSense provides several options to change the look and feel of your ads. But sometimes these options don’t feel enough to help and grow your online income. At this juncture, AdSense publishers often start think of altering ad styles (like font-color, font style and size etc.) with the help of CSS. The question arises, is it allowed to change AdSense ad with CSS? No! it is not allowed by AdSense Term of Service (TOS). If you’ll use CSS to change appearance of ads –you might risk losing your AdSense account. Trust me, Success with AdSense needs time, patience and hardwork. A lot of time and patience. And a lot of hard work. It is an often asked question. You might have noticed that some big and well-known websites seem to use CSS to alter their AdSense ads appearance. This might give you an impression that it is possible for all the publishers. But that is not so! Some publishers are given the status of Premium Publishers by Google. These AdSense publishers have special privileges that regular publishers don’t have. Premium Publishers are allowed to use CSS on their ads. Well, the status of Premium Publisher cannot be bought or applied for. Google invites certain publishers to become Premium Publishers. The criteria for such an invitation are not public; but it is safe to assume that you need to be getting millions of ad impressions and you should be strictly following AdSense Terms of Service in order to be considered by Google for Premium Publisher’s status. There is no shortcut to AdSense success. Let me repeat, it needs hard work, time and lots of good quality content. I hope now your question is answered. You can not and should not change AdSense ad appearance using CSS. Please feel free to ask if you have any questions on this subject. Learn how to mitigate the effect of ad blindness (also known as banner blindness). Use these simple tips to boost your CTR and revenues through ads. Many people believe that setting up a website loaded with copied content is an easy way to make lots of money via AdSense and advertising. They are mistaken. Many people who believe in shortcuts of making online money tend to fall in the trap of deliberate content duplication. Attracted by advertisements like “Google blessed me with $500 a day” –they feel that there cannot be any easier way to make money than setup a website and place AdSense on it! And this is one of the most uninformed and bad decision one can make. Those who think that by copying content from other website –they can make their own website a money making machine; well, forget about it. By duplicating content (or scraping content as it is more commonly known as) you can make a heap of information on your website –but the problem is that you’ll hardly find any readers! Google, the almighty search engine, heavily penalizes websites that scrape content. Other search engines like Bing, Yahoo, Baidu etc. also impose similar penalties on misbehaving websites. Such penalty will push your website down the search results and that will make it difficult (or almost impossible) for users to reach your website through search. Webmasters strive for a ranking on first page of Google search result because that is the single most important way of getting search traffic for your website. More importantly, mostly it is the traffic sent by the search engines that makes you money. Therefore, it is extremely important to aim for higher Google ranking. And, duplicating content is a certain way to kill your cyber dreams. You might wonder about so many newspapers around the world publishing the same news but they don’t get penalized. See, newspaper websites are that of high-trust and high-authority websites; so Google inherently trust them that they are not duplicating information but are actually buying it from agencies like Reuters. And then these websites put up a lot of original content as well by the means of their reporters and columnists. Sometimes we come across an interesting news or an article about which we also want to write on our own website. You can safely do so but only if you add more value to the existing content AND write it completely in your own words. Google search algorithm is an intelligent software. It can see through and decide what is a genuine attempt to contribute new content to Internet and what’s a fraud. If your website has many distinct URLs pointing to the same page (here I am not talking about 301 redirection), then you could be the victim of unintentional duplication. Such duplication is not actually duplication in human eyes –but a search engine will see it as such. Please note that here I am talking about many distinct URLs and not many links. But if you’ll have www.example.com/mypage1.htm , www.example.com/mypage2.htm and www.example.com/mypage3.htm having same content –then you will be seen as duplicating content. Both these URLs are pointing to the same content. The programmer, without meaning or realizing any harm, has unintentionally changed the sequence of parameters. This little thing makes these two URLs distinct in the eyes of a search engine! You should also be very careful in case of CMS (like WordPress) which provide tags and categories as alternatives for categorizing content. If you will use both of these options –you may end up having multiple URLs pointing to the same content. Well, so this is it for today! Please feel free to comment and ask me if you have a question about this subject of content duplication. Thank you. Many people face the problem of flash appearance of a light yellow box right before the Google AdSense ad appears. Learn the reason and solution of the problem. 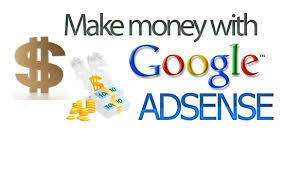 Google AdSense is one of the best known methods of earning income from websites. Almost all professional bloggers and wanna be professional bloggers use this method. I do regularly write on the subjects of blogging and AdSense. New AdSense users sometimes face the problem of a light yellow colored box. This light yellow box appears for a moment in space of the AdSense ad. Box disappears on its own after a second or so. AdSense publishers look hard but don’t find any way to stop this box from appearing. Let’s see why this yellow box appears and how to get rid of it. Google serves its ads inside an <ins> tag. Some of the blog themes do define a style for this tag. Usually this theme style sets the background color of INS tag as light yellow. So, when Google ad is loading, you see a flash of yellow box before the ad content gets loaded. How to remove yellow box? You can either change the background color to your liking or delete this CSS entry from your stylesheet to remove the yellow flash effect altogether. Remember that Blog themes define <ins> style for their own use –and not for Google AdSense! So, make sure that you are not breaking your theme by deleting this style. It is recommended that instead of deleting this entry from your CSS stylesheet, you should change the color to the base color of your page content container. I hope this tip solved the issue for you. Do let me know if you have any question about this subject. Also, read more articles on TechWelkin for gaining more knowledge on how to use Google AdSense and be a master of blogging. An important Adsense optimization tip which can make your highest Click Through Rate (CTR) ad block to attract the highest Cost Per Click (CPC) as well. First impression matters and so does the first ad on your blog! Well, using Google AdSense is pretty easy. Apply, get approval, paste ad code in your website and you’re in the online business! AdSense ads will being to appear on your webpages. But harvesting the full potential of these ads requires a bit of more work and tweaking. You need to do a few things in order to optimize your ads and maximize revenue you get from them. Today, I will talk about the importance of the first Google ad in your webpage. What I mean is that I am not talking about the first ad that appears on top of the others. I am talking about the first ad code embedded in your HTML code. Let’s first understand why the first ad is important. Google’s ad serving algorithm tends to server high quality ads in the ad blocks that it first encounters in your HTML. This is to say that the first ad will get the highest quality ad (with high CPC etc.) and as we go down the HTML code of your page, the quality of ads will decrease. With your experience and a bit of study of your click-through-rate (CTR) you should be able to determine which of the ads on your page is performing the best. This may OR may not be the first ad on your page. An ad’s performance depends on many factors. It is possible, let’s say, that the third ad is getting the highest CTR. It’s simple. As we know that the ad serving algorithm scans the page from top to bottom, all we need to do is to place the highest CTR ad right below the <body> tag; so that this becomes the first ad block to be encountered by the algorithm. But sometimes we face a problem. Migrating an ad block from one place to another may mean that the block will not fit in the new place. Let’s say your third ad is a 728×90 leaderboard ad. If you migrate this code right under <body> tag –your webpage design might get distorted because there the ad may not have the luxury of 728×90 pixel space. The solution is to shift the code right under <body> tag but make the ad display where it always has been. One more AdSence tip: When you will make the div absolutely positioned –the content below it will push upward. So, after removing the ad block from its original place –you would need to place an empty div of the same size at that place. This blank div will act as a placeholder and would keep the content below from shifting upward. Did you find this AdSense tip useful? Please let me know if it worked for you. Also, it would be great if you could share any other AdSense tip with us. Needless to mention, your questions are always welcome.